This is a pair of stunning swarovski crystal earrings, made with genuine swarovski crystals. 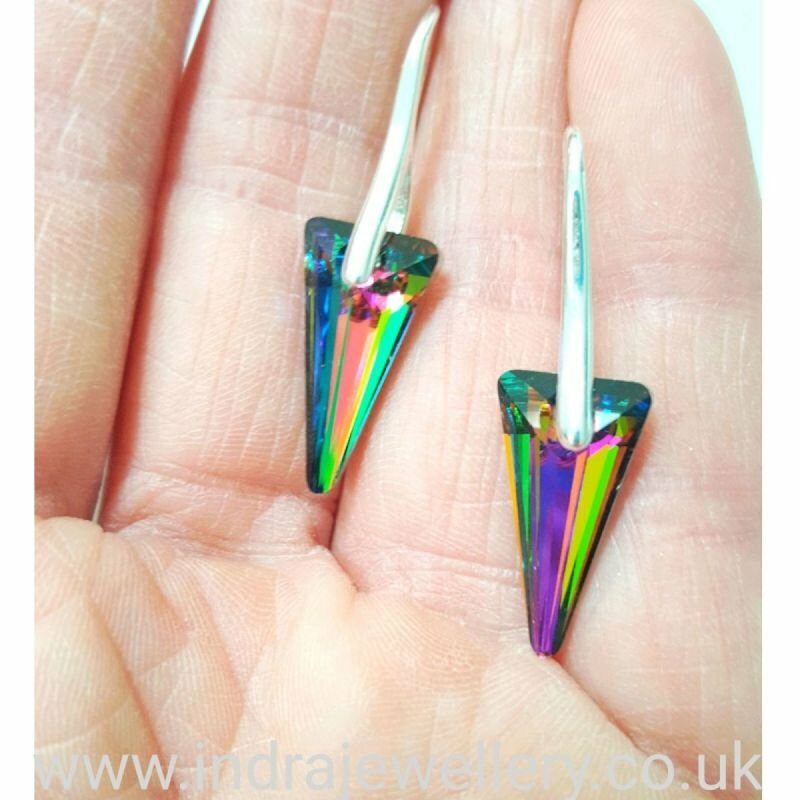 The crystals are a rainbow of colours and have been carved into spikes which make these earrings really unusual, the pictures really don't do these earrings justice, being swarovski, they are super sparkly! they are finished with long silver hooks.